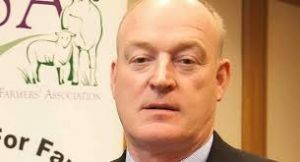 ICSA president Patrick Kent has called on the Government and all Irish MEPs to give a clear and unambiguous commitment to opposing concessions on beef quotas in the Mercosur negotiations. “We cannot accept the EU making trade deals all over the globe when they are making no progress in solving the trading arrangements with the UK,” he said. “The overall net trading gain is as little as €3 billion for Europe, in terms of tariff elimination or reduction. In practice, this means that to avoid some €4 billion tariffs on industrial exports to South America, Europe would forego approximately €1 billion in tariffs. However, for a relatively small gain on tariffs the damage to the beef sector here and the knock on impact on rural communities would be immense. We export some €2.5 billion of beef and cattle which is predominantly within the EU and this is under threat. The knock-on impact to rural communities is a multiple of this. “ICSA believes that the standards that European farmers work to are far in excess of the South American standards. However, as we have seen earlier this year with the meat adulteration scandal in Brazil, there is no real prospect of the EU being able to enforce the same levels of traceability in South America as are enforced rigidly on EU farmers. The Taoiseach should be cautious about believing that standards can be the same.